Every summer, my family and I spend a few weeks in the sleepy, unassuming beach town of Westhampton Beach, NY. Very little goes on there, which is why I was so shocked last weekend when I walked out onto the front yard of our rental house to find a bag full of rocks and a flyer which had apparently been thrown there by a Ku Klux Klan recruiter. 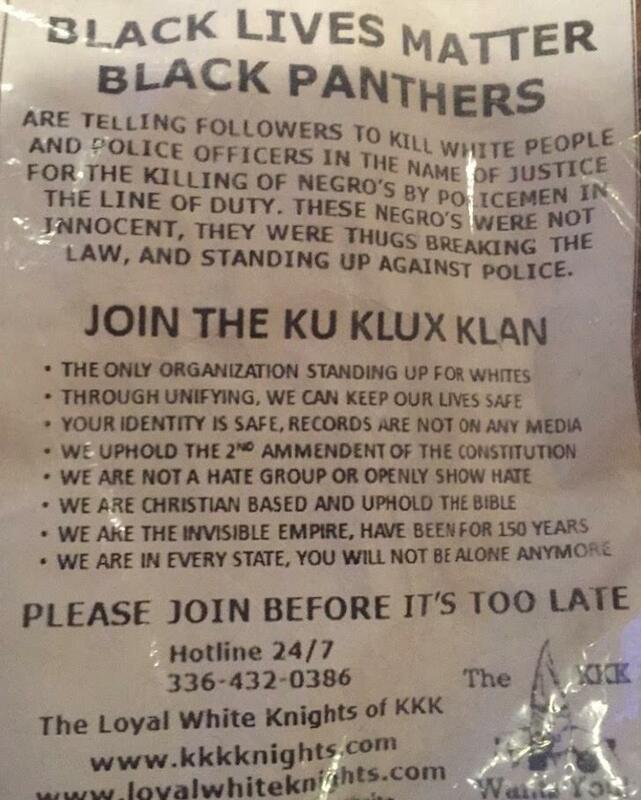 The flyer stated that Black Lives Matter was a hate group and that its members and the people it defends are “not innocent,” but “thugs breaking the law.” It went on to describe the KKK as “The invisible empire” and implored the reader to join “the only organization standing up for whites.” It also included a URL for the chapter’s website, kkkknights.com, which is (predictably) filled with extremely vitriolic tirades against several racial groups, particularly African-Americans and Jews. When it emerged that every house on our street had received the same flyer, a buzz began to spread about town. 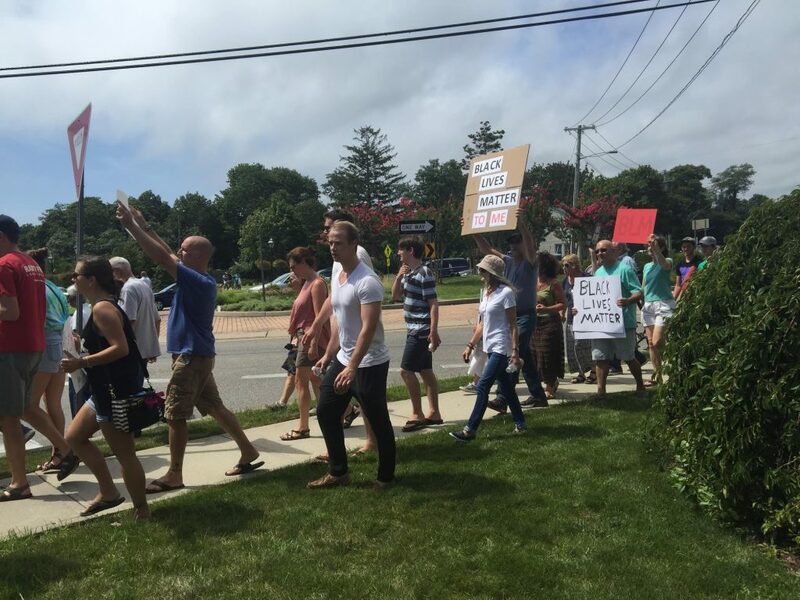 Soon the news reported that Black Lives Matter would be holding a rally at Westhampton Beach’s traffic circle to protest the KKK’s newly vocal presence. The Long Island KKK’s Exalted Cyclops (yes, a real ranking the KKK apparently has) Gary Monker told the New York Post that his organization planned to disrupt the Black Lives Matter rally, though he remained cryptic about their exact location and plans. 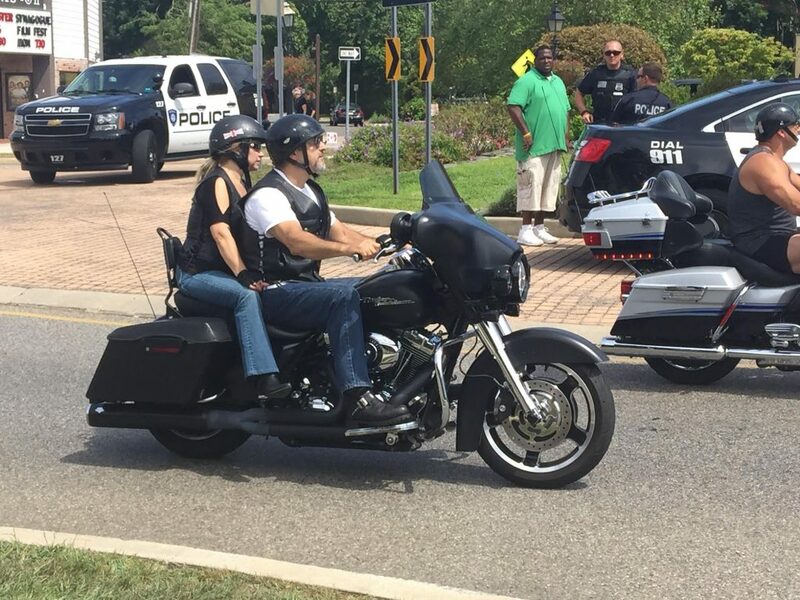 As it neared noon on Sunday, the time the rally was scheduled to occur, the town grew tense and more cars entered the traffic circle than I had ever seen, even on the busiest of beach days. People from out of town flooded the area, curious to see what would happen. 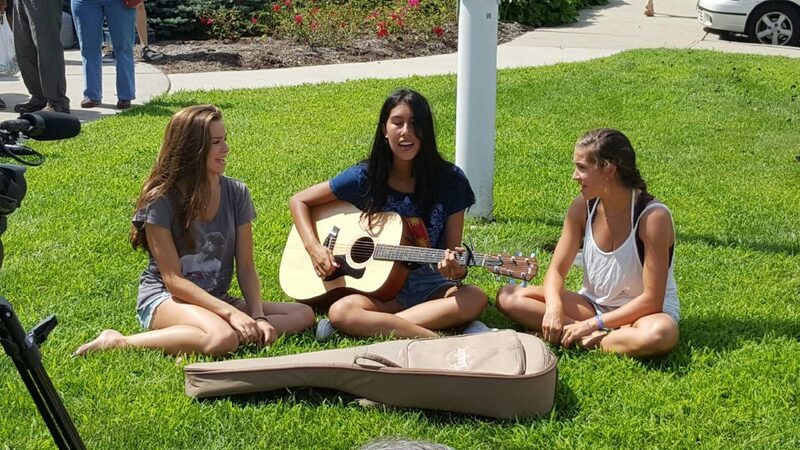 As people lined up on both sides of the traffic circle, two friends and I staged an impromptu performance, singing John Lennon’s “Imagine” to try to bring a sense of peace to the event. Black Lives Matter had a strong show of support for a tiny town, with around 200 protesters peacefully carrying signs and chanting “Stop killing us.” The protesters also chanted “Black lives matter, blue lives matter, white lives matter, all lives matter” as they gathered on the steps of the police station.